Torwel snow pushers are rugged and capable. Upgrades include: Durable steel skid/wear shoes made of AR400 hardened steel, heavy-duty 8" x 1 1/2" continuous rubber cutting edge allows smoother quieter operation and greater contouring to the plowing surface, which will yield better surface material removal. Rugged 3/8" side plate design adds strength to the Snow Pusher by maximizing the support of the reinforcement corners. 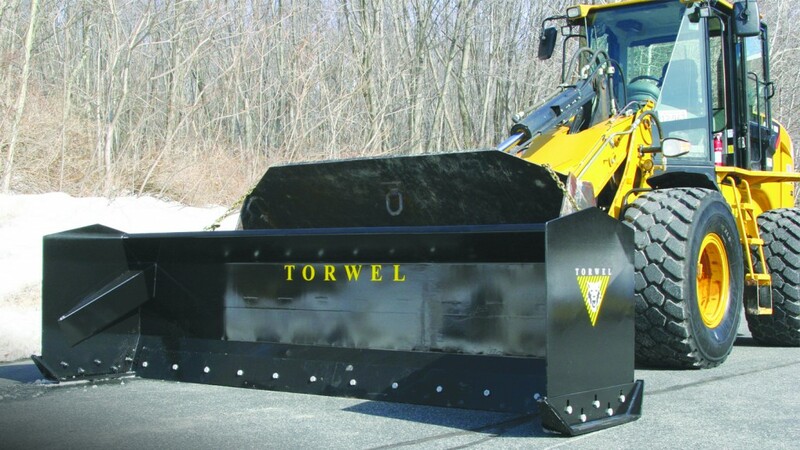 Torwel's Snow Pushers feature Heavy-Duty all steel construction and has no moving parts for durability and low cost maintenance.